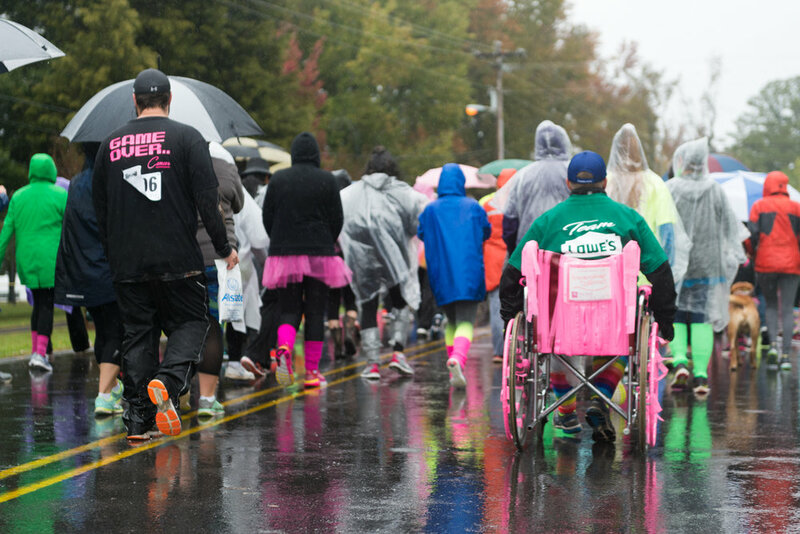 Despite temps in the 40s and heavy rain, Lake City turned out in force to support Breast Cancer Awareness. 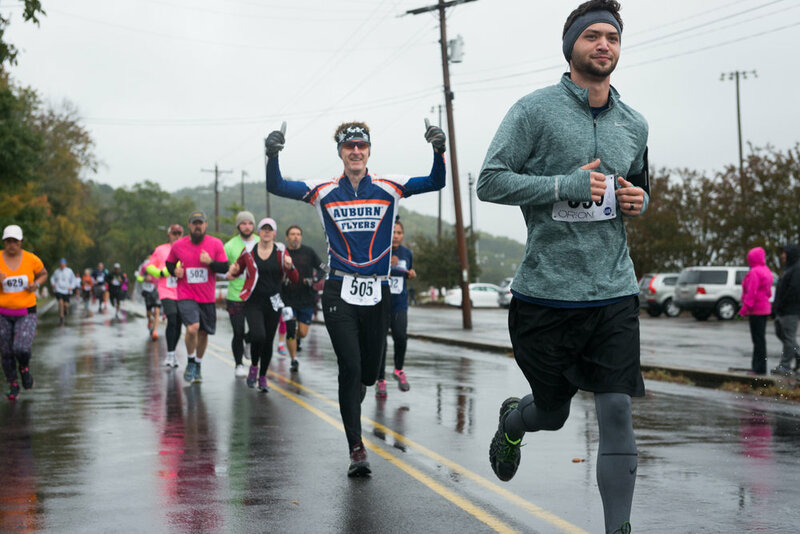 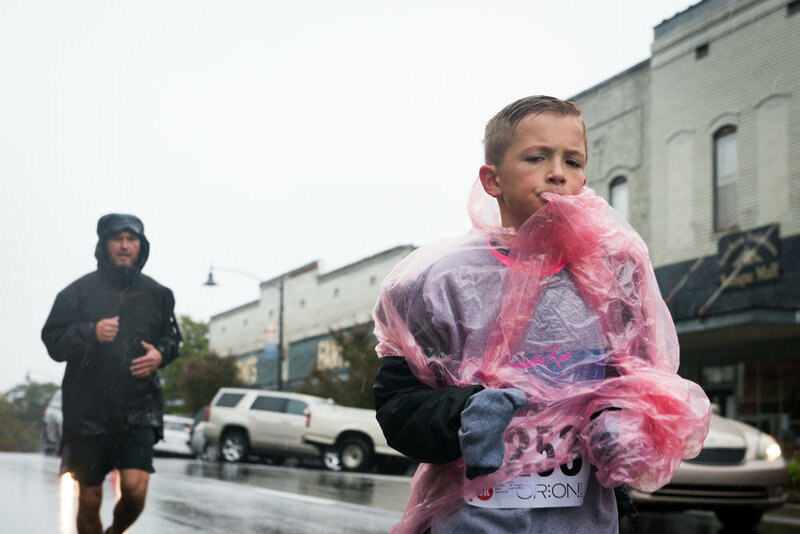 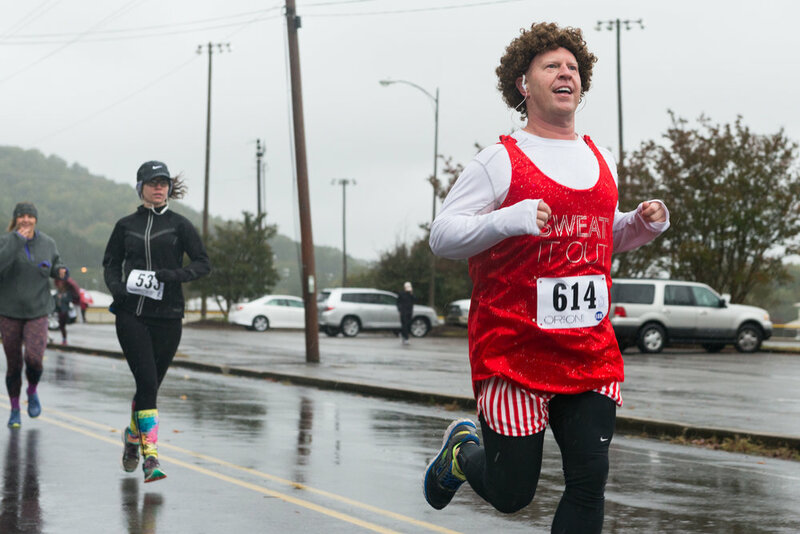 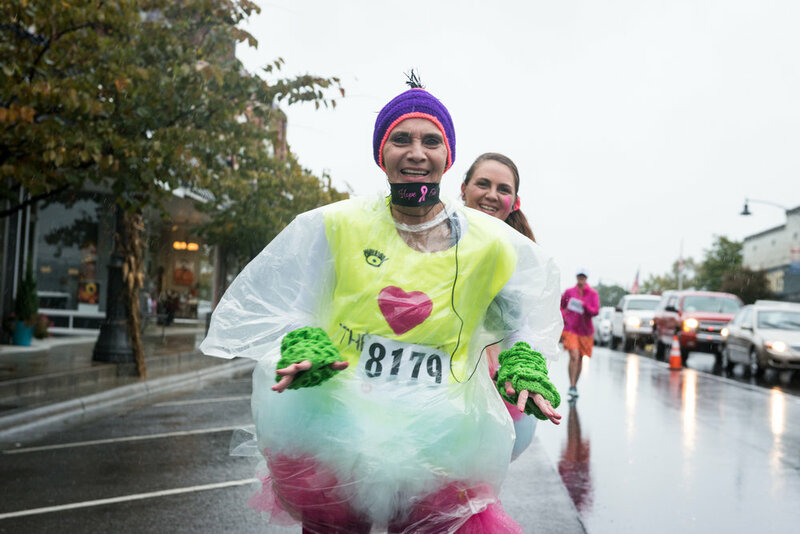 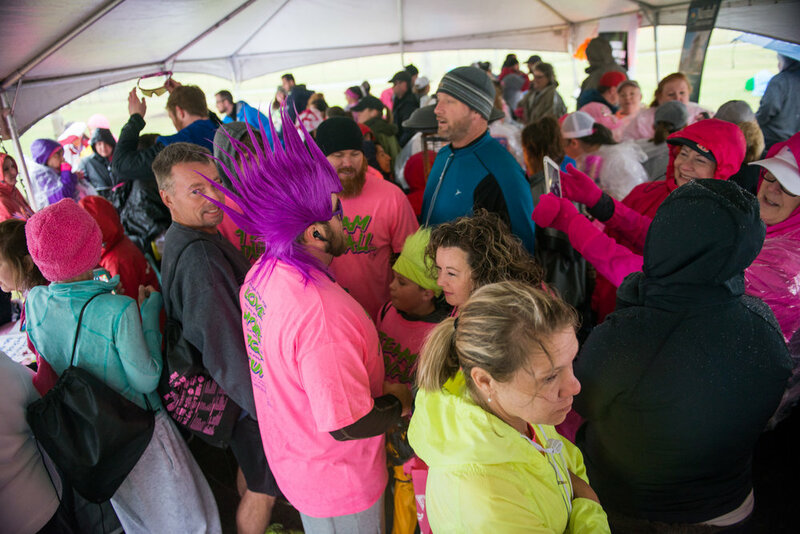 In it's eighth year, Guntersville's annual Pink Pumpkin Run was a booming success. 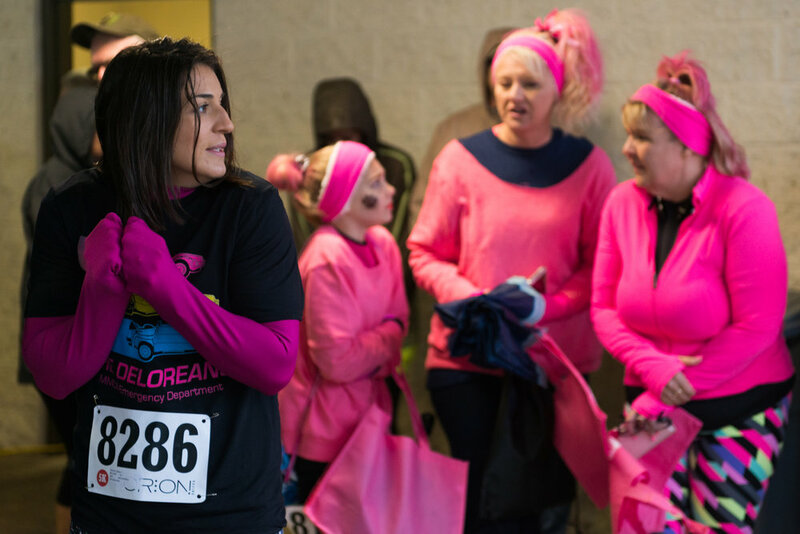 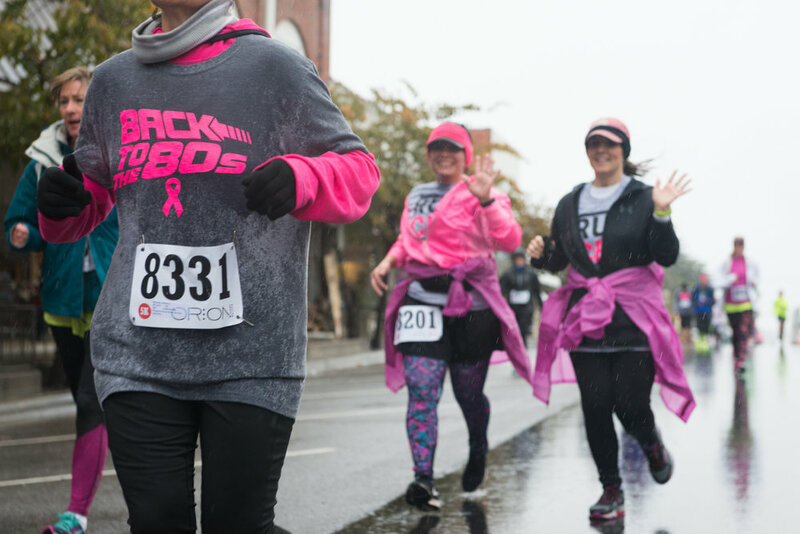 The event was sponsored by The Foundation at Marshall Medical Centers to increase breast cancer awareness and to raise money to offer mammography services for those who can't afford or don't have insurance to cover the exam. 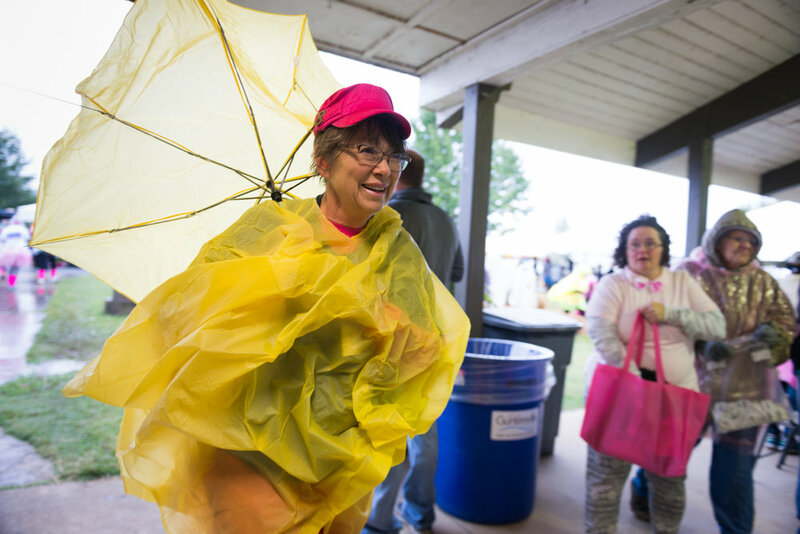 With hundreds in attendance, the weather did little to dampen the spirits of the community or the charitable nature of the popular annual event. 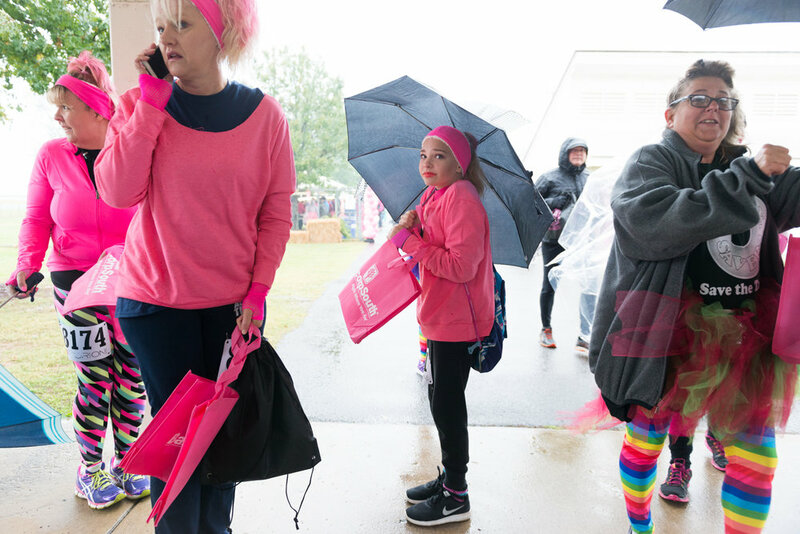 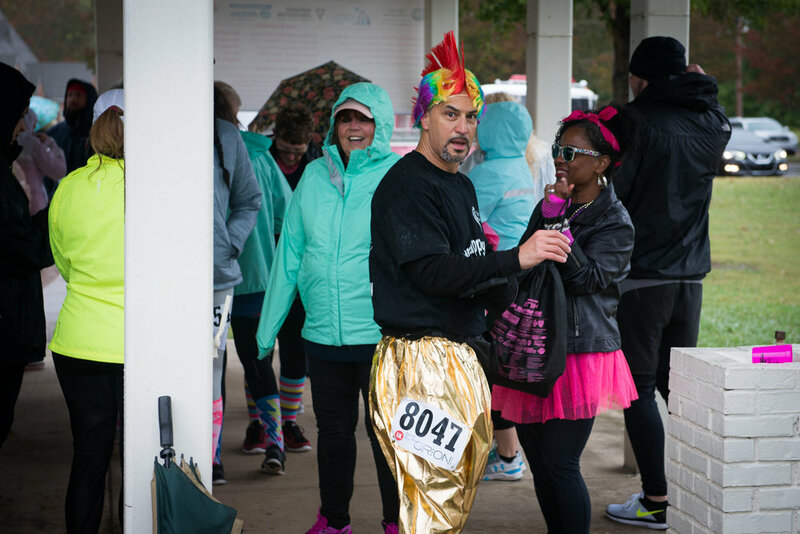 Though the bounce house remained deflated, the flapjacks were flapping for the after-run pancake brunch and the 80s themed costumes still shined through the pink rain ponchos. 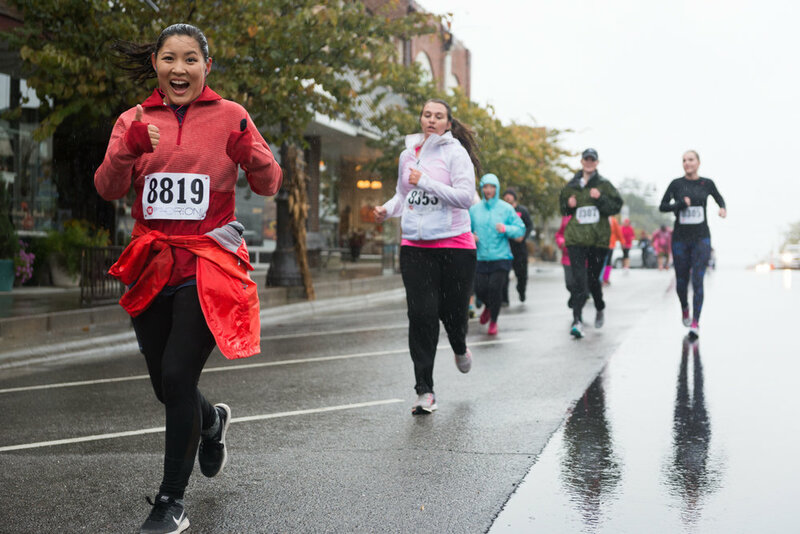 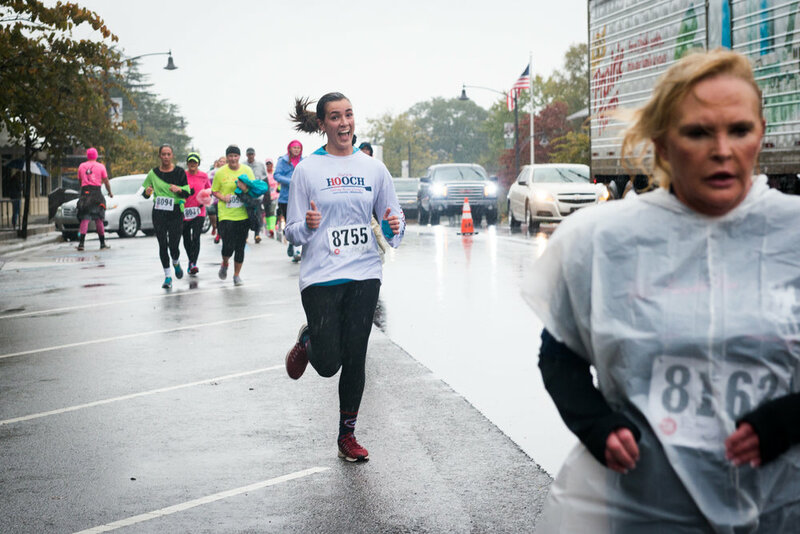 With a 5k, 10k, and walk option, there was something for everyone. 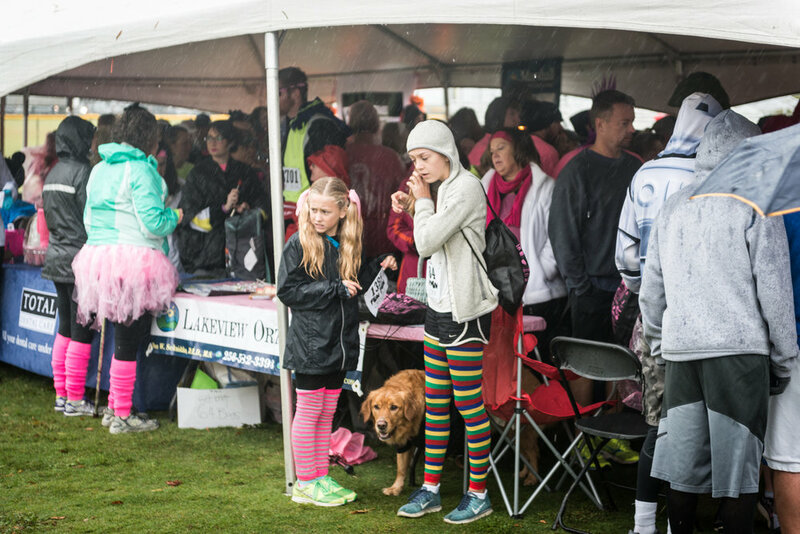 The co-ed event attracted the young and old alike, brought together by this ever popular cause. 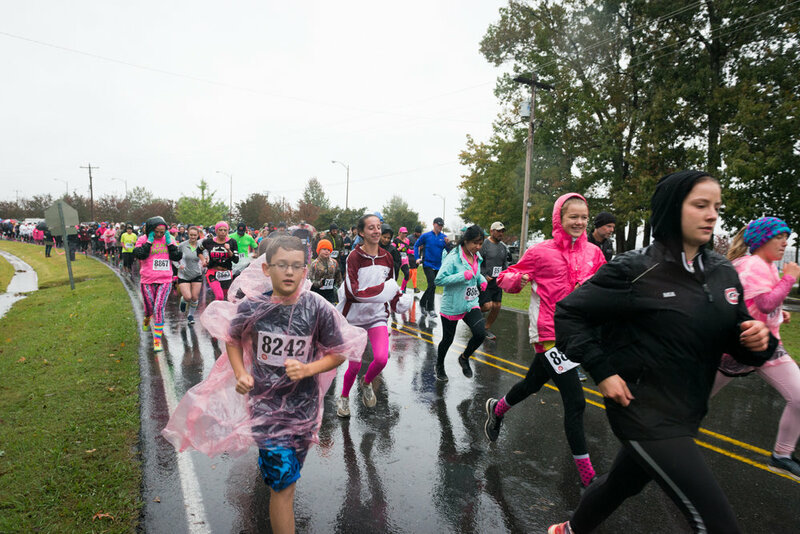 If you missed this year's run, mark your calendars now and be sure to make it out next October. 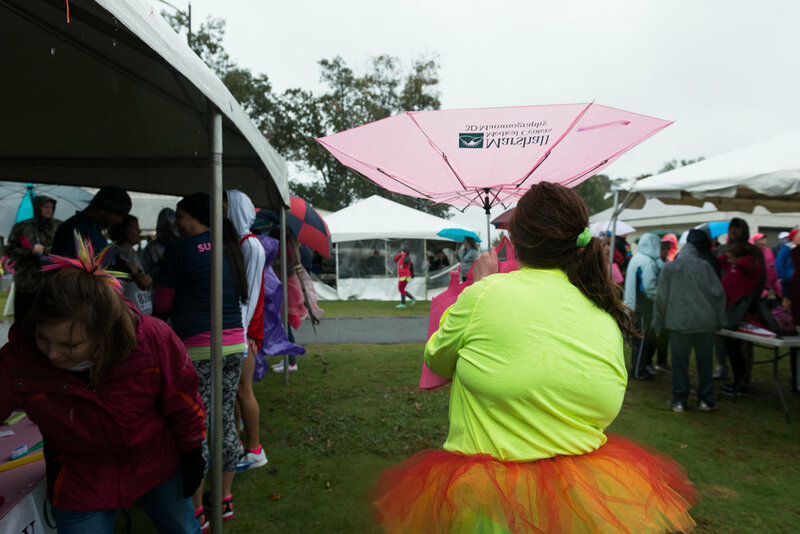 This was the first time in eight years it rained on the day of the event, and sources say sunshine has already been ordered for 2018.